The changing world of luxury retailing. Not too long ago, I signed on as Executive Editor of The Loupe, the watch blog for TrueFacet.com (in addition to continuing with certain of my other roles). 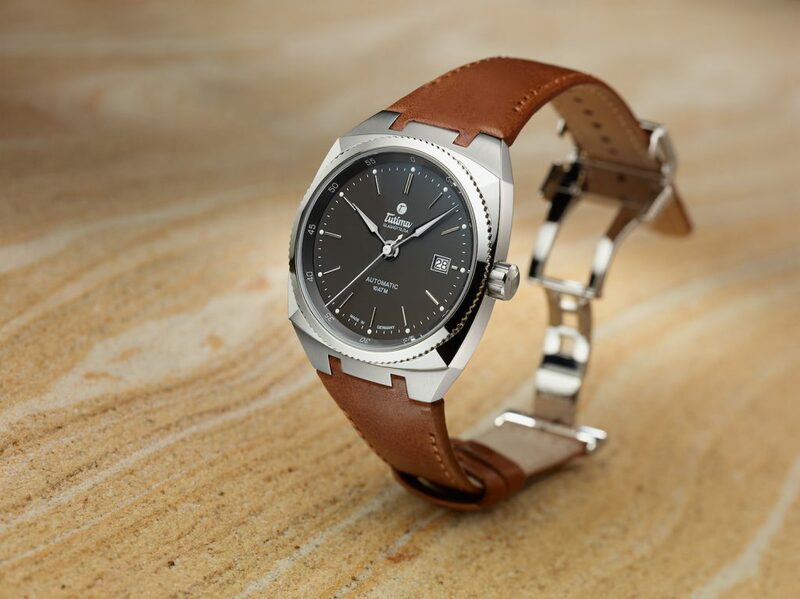 TrueFacet.com is an online marketplace for second-hand and vintage watches and jewelry, as well as operating a boutique division that offers new watches and jewelry for sale. We had been in discussions about my taking over this role on and off for more than a year. However, just before I boarded a flight to Baselworld, I opted in. It was not an easy decision. I had to weigh a number of important factors including the issue of whether or not writing for a second-hand watch sales site would affect my long-standing status as a respected watch and jewelry journalist (I hold a Masters Degree in Journalism from the Newhouse School at Syracuse University) in the eyes of the watch brands. To assist me in determining that, I called a lot of watch brands and spoke frankly about the choice I was making. Everyone concurred that this was a great step forward for me to learn more about content writing for digital platforms. Everyone also concurred that the concept of selling luxury and even second-hand and vintage watches on line is changing — leading to new and different opportunities. More than three decades ago, in 1984, when I first joined the watch and jewelry world as the first woman watch editor in America, there was no such thing as an on-line retailer. The Internet Shopping Network (most likely the first online retail seller), Amazon and e-bay would not be born for another decade. I’m not sharing this information to date myself, but rather to date the retail watch and jewelry business. Back then, retail was all about brick-and-mortar stores. From mom-and-pop jewelry stores to leased jewelry counters in large department stores, sales of watches and jewelry took place in person with face-to-face contact. Even when the big catalog companies (many of which sprang up in the first half of the 20th century) began opening stores in the early 1980’s, slashing retail prices to compete with and beat mom-and-pop and department stores, the concept of buying from a catalog and picking it up in store simply didn’t take hold. Catalog Showroom Merchandises would mail out big catalogs, customers would enter the store, go to a podium, fill out an order form, file it at a window and pick up their merchandise. Even the biggest CSMs, such as Service Merchandise and Best Products, were defunct within a decade of opening nationwide stores simply because they could not fulfill the one thing consumers wanted: that personal interaction and the reassurance that someone would be there for them if they had any after-sales concerns. So, when online shopping first came into being in 1994/1995, most retailers and brands didn’t think the concept would take root. However, it has. 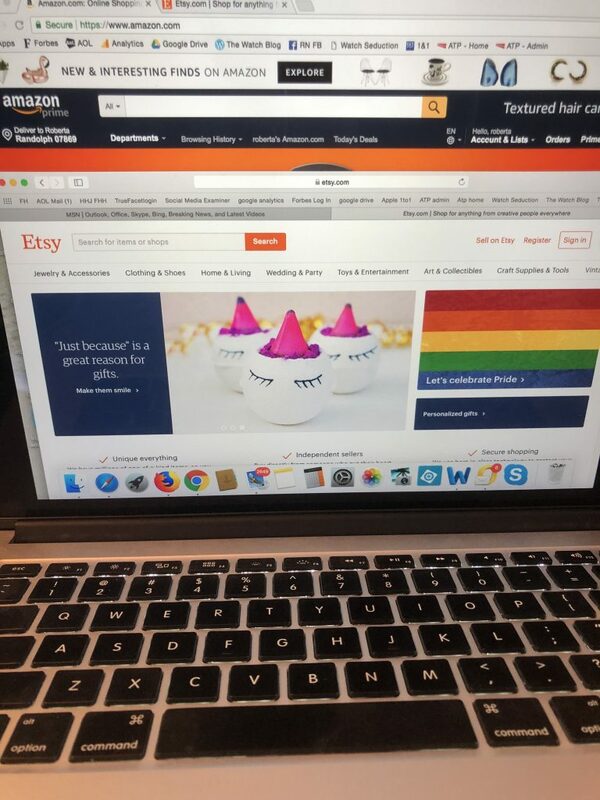 Over the past two-and-a-half decades, online shopping has catapulted to the point where, according to US Ecommerce Statistic, roughly eight in every 10 Americans are shopping on line. This translates to approximately 220 million digital shoppers in America alone. Easily one of the scariest parts of this growth is in the luxury watch and jewelry field – where brick-and-mortar stores always had the edge thanks to the personal interaction. With so much knowledge available on line and so many ways to compare products, buying luxury on line has become much more acceptable and more agreeable to some buyers. This is especially true of Millennials who grew up on technology and are perfectly at home buying a luxury item from their mobile device or laptop, and who often find it much so much less intimidating than walking into a brick-and-mortar store. Of course, buyers need to take a host of precautions when shopping on line, and buy only from authorized retailers with impeccable reputations to ensure they are getting genuine timepieces and jewelry backed by a warranty from the brand and backed by the retailer. But thus far, that has not proven to be an issue. Today’s savvy on line shoppers have done their research and are often well armed with all the information they need to make a purchase. With this in mind, luxury retailers today have to make significant changes to keep up with the times or risk complete failure in the years to come. As such, many of today’s brick-and-mortar stores are enhancing their websites, offering educational information, news and blogs, and, in many cases, even selling on line as an adjunct to in-store sales. One of the ways some of the best US retailers (and even overseas retailers) are finding to compete is building up their on-line (and in-store) selection of vintage and second-hand watches. Generally, in watches, vintage is described as any timepiece made before 1985, when Computer Aided Design (CAD) made its way to the watchmaking world. Timepieces made after 1985 are considered modern (or second-hand). 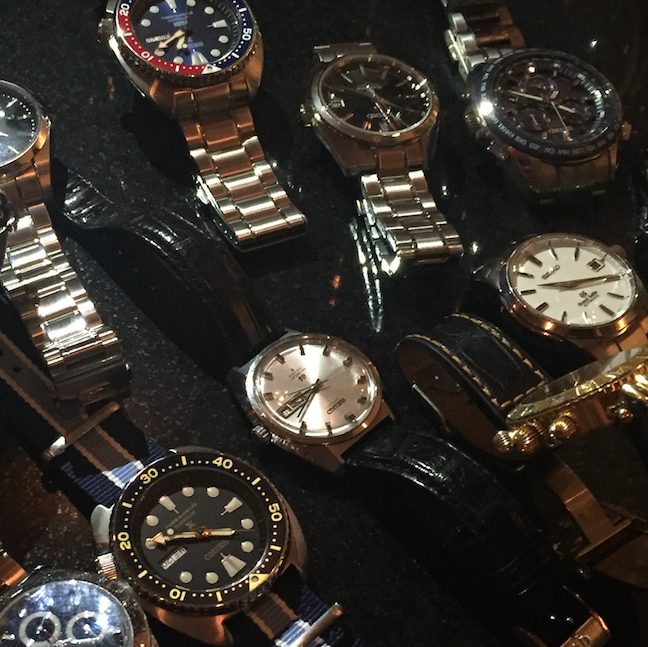 The Second-hand and vintage watch market has also been growing by leaps and bounds over the past decade. With big auction houses promoting huge sales and educating consumers on important lots coming up for sale, so many watch lovers and connoisseurs are on the lookout for good buys. It should be noted that the competition for Certified Pre-owned is also on the rise — with some watch brands even announcing their own programs,In the case of the Richemont Group, the brand acquired Watchfinder.co.uk — a 16-year old British seller of pre-owned watches, and it also acquired the majority share of Yoox Net-a-Porter Group. Both of these investments give the Group –owner of multiple luxury brands — a place to directly sell its buy-back merchandise. Still, this second-hand area is where traditional retailers can compete with online discount watch sellers because pricing used and gently used watches and jewelry is subject to so many variables that there is room for a little extra profit margin. “A little” being the operative words, because here, too, there is great competition. TrueFacet.com is an online seller of pre-loved and new jewelry and watches. 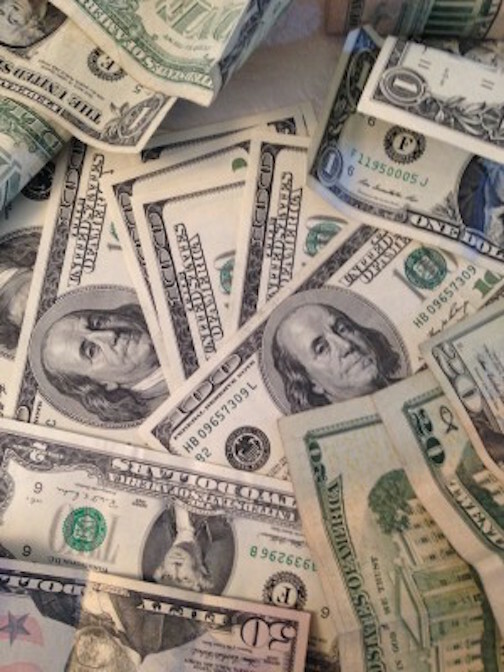 Many second-hand on-line luxury retailers have also emerged. Some, like Crown and Caliber and Govberg’s Watch Box, sell only watches. Sites like TheRealReal sell commissioned luxury goods including jewelry, watches, fashion, accessories and even household items. Then, there is TrueFacet.com, which sells both jewelry and watches, and sells both used and new. The site offers a marketplace atmosphere where individuals can buy, sell and trade-in/trade up watches and jewelry. For many of the brands it sells, TrueFacet.com is a certified pre-owned retailer. Much like the car industry, where some dealers offer certified pre-owned cars, TrueFacet.com can offer the same thing with certain watch and jewelry brands. A scour around the site shows a host of top brands being sold in “Never Worn” condition – indicating excellent condition. 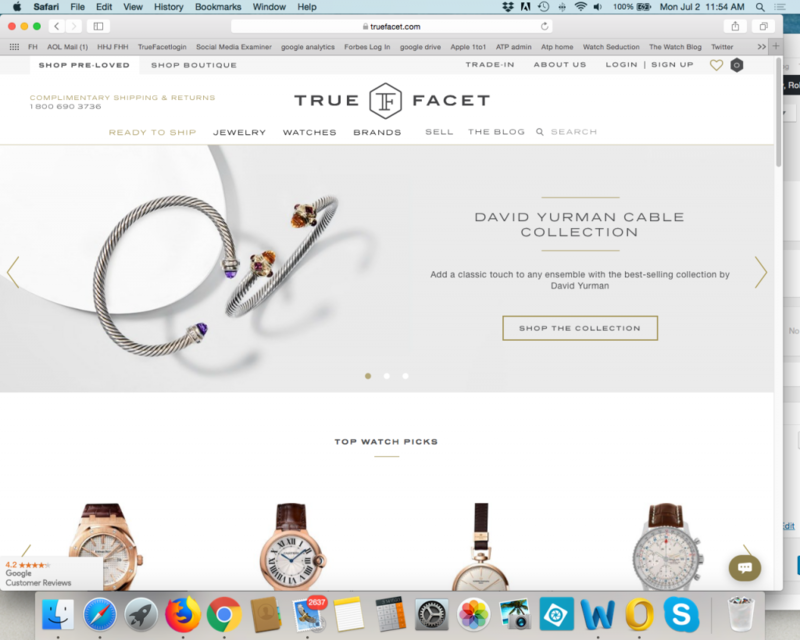 Additionally, TrueFacet.com has a boutique component where consumers can buy new watches and jewelry from top-notch brands. Once again, a look at the site’s boutique section reveals the ability to buy new from brands such as Fendi, Tutima, Bovet, Arnold & Son, HYT, Manufacture Royale, Faberge, Leo Pizzo and more. One of the key advantages TrueFacet has over many of its online competitors is that it does not stock merchandise. When it works with brands for the boutique section, once an order is placed, it ships direct from the brand, not TrueFacet.com. Even with the marketplace section of the site, people list their items up for sale, but don’t need to ship them to TrueFacet.com until the item has been purchased. At that time, the seller ships the item to TrueFacet, whose expert gemologists and horologists authenticate the piece, before TrueFacet ships it to the buyer. Consumers also have the option of consigning their items to TrueFacet, in which case TrueFacet makes a slightly higher commission, but stores the goods until they are sold. 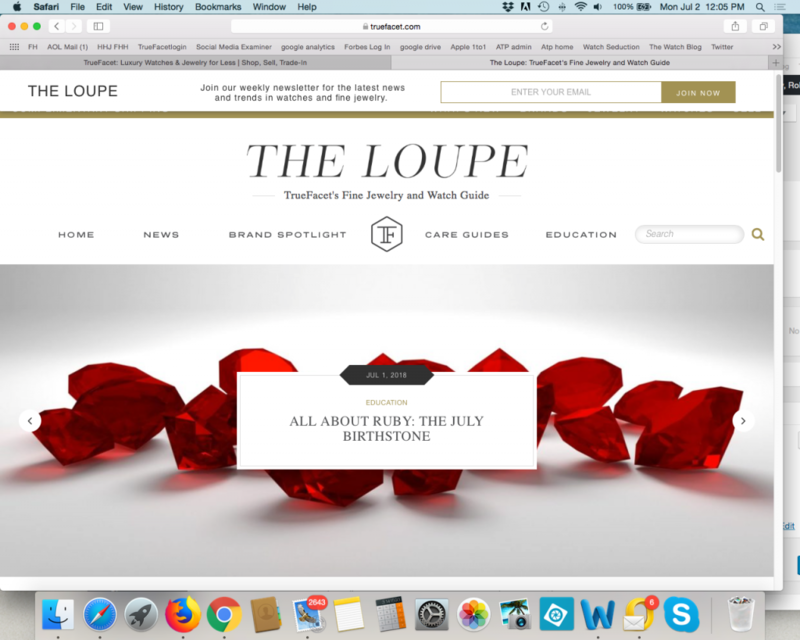 By eliminating investment in stock, the giant seller has capital to invest in things like customer service, creation of educational brochures and even offering editorials on its boutique brand, as well as operating its own informational and educational blog within the site: The Loupe. Circling back to the opening paragraph of this article – this is where I come in. After witnessing the way TrueFacet.com works, seeing for myself the level of commitment to — and support of — the watch and jewelry industry, it was clear that joining the team made sense. Not only would I be writing educational material for consumers, helping to connect the company to top brands and retailers and hopefully building subsets of customers based on demographics and key data that could then be tapped for brand and TrueFacet events, but also I would be learning. To me, learning is essential to growing. 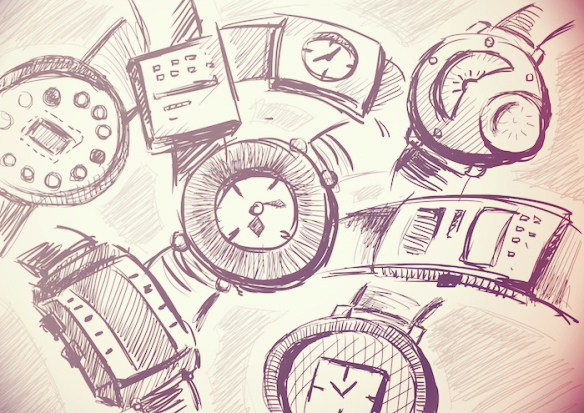 Just like the luxury watch business is growing and changing, so, too, is the retail world. I look forward to the new venture, and to witnessing the evolution of luxury goods retailers, of on-line sales of luxury goods, and of the second-hand and vintage watch and jewelry markets.